Last month, we briefly highlighted that auto loans with terms lasting as long as 84 months are becoming more common, thanks to a number of prevailing factors. Turns out, I should’ve dug deeper: as the Financial Times notes, we’re witnessing an uptick in new car buyers taking on 96 month loans. Eight years, folks. The Financial Times piece highlights a lot of the figures we’ve noted in recent stories: record-setting loan amounts outstanding ($1.1 trillion, now $1.2 trillion), people paying record amounts for a new car ($27,430), a record number of people 90 days or more behind on their auto loan payment (6.3 million). Lenders in America’s $1.2tn car-loan market are extending terms for as long as eight years, meaning they face a greater risk of defaults and meagre recovery values. 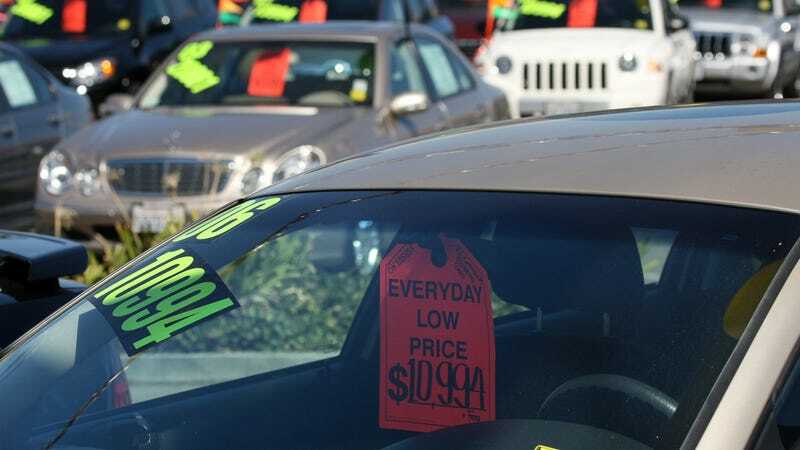 The average term on new car loans stood at 67 months — or five and a half years — at the end of 2017, according to data from the Federal Reserve Bank of New York, having steadily risen since 2008. A small number of new loans are being extended out to between 85 and 96 months — or eight years — according to Experian data. Eight damn years. Couldn’t be, I wailed into the void. Ah, but I was wrong. In Experian’s review of the third quarter in 2017 for auto lending, the report found that the percent of new car loans in the 85-96 month range ticked upward to 1 percent from 0.9 percent. That may seem minuscule, but at 17 million car sales per year, that represents about 17,000 more people in a year who took on loans with terms that last as long as eight years. Technology disruption—like autonomous or electric vehicles—could create issues in the auto industry, but I think the impact of lending trends like this is something that might wind up more problematic for carmakers. At some point, it has to stop heading in this direction, and I think when it does, it won’t be pretty.